Payson, Arizona – Pulse Combustion Systems (PCS) shipped a custom-designed pulse combustor to a new customer today. 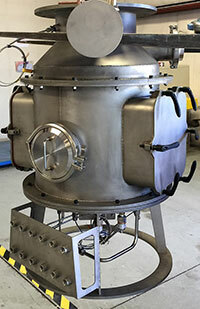 Instead of using it for spray drying, the customer is going to use it as a novel heat source in a gasification project. The customer plans to start up the gasifier in the next few months, and should be reporting results shortly thereafter. For more information, contact James Rehkopf at 415 726 3536 or jrehkopf@pulsedry.com.